Your home should be the one place on Earth where everything feels right. Your office building may not smell too great and your car may always be too hot, but your home should be the haven where you can take a deep breath and relax with nothing to hinder you. But during the summer in Clearwater, Florida, many factors can disturb that peace. Anything that disrupts health, efficiency, and comfort can destroy the haven you deserve. Take measures to increase indoor air quality and efficiency to build the ideal Florida summer sanctuary. Your HVAC system is really the heart of your home. Since it controls temperature and plays a significant role in indoor air quality, you shouldn’t forget to take care of your air conditioner. As long as your HVAC system is running well, so will the rest of your home. Most HVAC maintenance should be conducted by a licensed HVAC professional since most repairs involve delicate, and often dangerous, equipment. A regular HVAC maintenance schedule will keep your HVAC system running efficiently throughout the summer and the rest of the year. You don’t need to wait for your scheduled maintenance to take care of your HVAC system. In fact, maintenance is really a daily thing, requiring you to pay attention to your system and the surrounding area. If there’s dirt, dust, or debris around either the indoor or outdoor unit of your system, clean it up to reduce strain on the system. You can also change air filters every month for better efficiency and indoor air quality. Possibly the greatest threat facing the construction of your summer sanctuary is the wet, blazing heat of Florida. You may think that the walls of your home keep that air at bay, but it’s possible that your home has gaps and leaks that let warm air in and cool air out. Not only does this decrease comfort, it also makes it more difficult for your AC to maintain temperature, so its efficiency falls. Look for leaks in your home especially around windows and doors, where extra dirt or dust nearby likely indicates a gap in sealing. If you find a leak between your door and door frame, place weatherstripping along the door frame to seal things back up. Similarly, a window with a leak could use a fresh layer of caulk. Some older windows, however, may just need to be replaced. Even when your home is completely sealed, heat can still seep in through open blinds and curtains. During hot days, keep blinds and windows closed. We know you love natural light, but that sun will heat up your living room more quickly than you realize. Nothing will ruin comfort quicker than allergens, which can lead to a whole host of reactions and even illness. Particles also stick around as they get cycled through your airflow, collecting friends along the way. Allergens may come from pollen tracked in from outside, mold grown under Florida’s warm and wet conditions, pets, and much more. Start fighting allergens by identifying which ones you’re dealing with, then take care of them. Stop pollen from entering your home by putting a welcome mat at your door and asking guests to remove shoes. Reduce mold and mildew growth by keeping your home, especially the bathroom, well ventilated. Installing a whole-home dehumidifier also may not be a bad idea. Clean your home and your pets often, giving allergens less time to collect. If you’re especially susceptible to allergens, consider installing a whole-home air purifier, which will catch and neutralize more particles than your standard air filter. If you really want to put a stop to allergens, have your ducts cleaned. Leaks can also form in your duct network, allowing dust and other particles to circulate throughout your home and collect in the ducts. A duct cleaning will help identify leaks and clean out collected particles. You already have to endure discomfort every time you walk out into the heat, so don’t deal with discomfort in your home. You deserve a summer sanctuary. 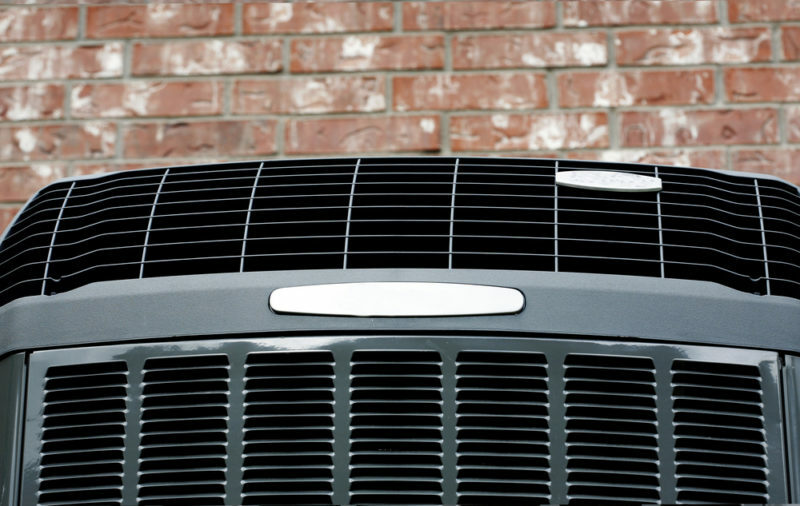 Let us do our part to keep your AC running efficiently by calling Advanced Cooling Systems today at 866-827-7662.